Oh hi October! I am so hopeful with how the year has gone so far simply because at the beginning of the year I set intentional goals, and actually paid attention to them, something I didn’t do in the past. 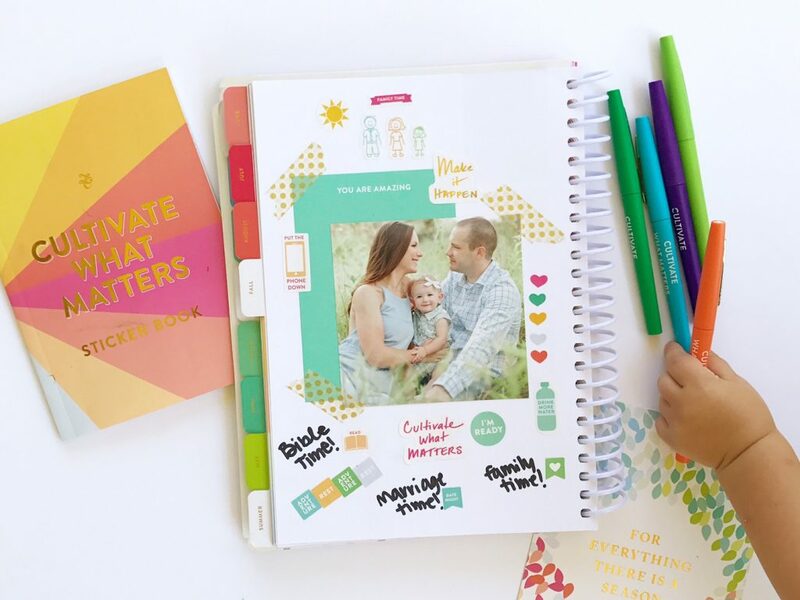 This year I have tended to them, and made little by little progress through using my powersheets by Cultivate What Matters, and today I am sharing a powersheet goal update and celebrate the growth that has been made this year so far. Wanna read my original post where I shared my 2017 goals? Check out my first post for the year to read more! I wanted to do a little bit of an update and celebrate the growth that has been made, and give myself grace for what has not. My word for the year was celebrate. While I started the year with big intentions to have a party celebrating the month, but I realized that that wasn’t a main priority for me, which is ok! I had in my head that celebrating needed to be a big to-do with decorations and a fancy meal. But, I have since learned that we do celebrate everyday actually in the little moments when we choose joy over frustration, positivity over negativity, and simplicity over hurriedness. So while we haven’t been celebrating in the way I originally planned, we very much are celebrating! Date nights. Oh mercy, this still hasn’t really happened. However, we have hope friends! Two words: Day dates. We live about 30 minutes from town, and we are not fans of staying out late. So date nights just don’t really work for us in this season, but since Kerrington started Mothers Day Out, she is in school 2 days a week, so K will be off one of those days each week so we can have time for day dates! Yippee!! Find a new church home. We LOVE where we have been visting the past couple of months which is different from where we were in the first post. Grace Bible Church. So far we have agreed with everything they have taught and preached, and really love the childcare. We also started attending a home group! Hire an assistant for TMD. Yes! This year has been wonderful with help! I can’t believe it took me so long to get help with flowers. I have had multiple girls help me out depending on the size of the wedding, but our first one we hired has helped me quite a bit! So grateful for you Meg! Create a completely clean home free of toxins. SO close! We have cleaned up every single product, and LOVE using Thrive Market for much of our cleaning products, alongside making some of our own. We are now down to only deoderant, we very recently got rid of our toothpaste! Yes, you read that right! I made us a batch of Wellness Mama’s tooth powder! Pay $12,000 towards student loans. We are currently at $7600 for the year! Ahhh!!! I feel like I can see the end of that goal in sight! I am so excited, and hopeful to meet this goal!! 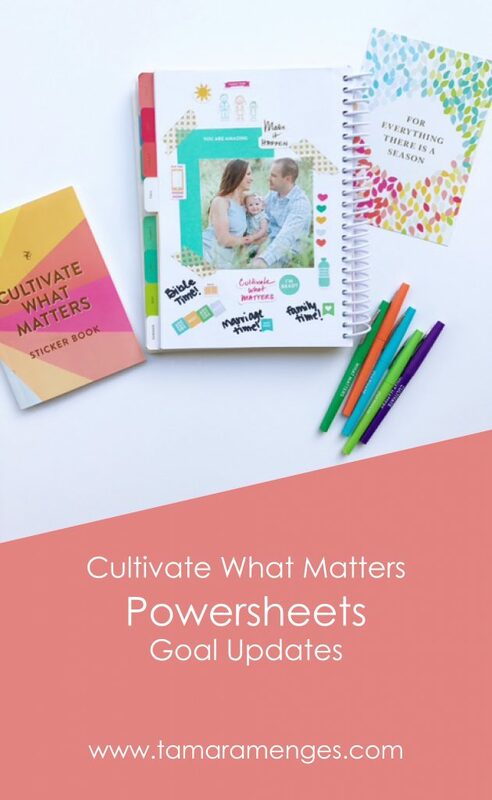 Another thing I love about using powersheets is that at the beginning of every quarter you space to make new goals, and reaccess your original ones. Mix up workout routine. I was using Kayla Itsines Bikini Body Guide, which I loved, for about 65 weeks straight so I wanted to mix it up a little and try something else. I have started Body Boss a second time, and also completed a booty and core workout by Daily OM. You can read a post I wrote about the Sweat with Kayla app here. Monetize the blog. I did sort of! I received my first paid post several months ago! Whoop! Launch Light Filled Home, before Easter! So this tells you just how long Light Filled Home was on my heart, and thankfully with His grace we launched it, with far more purpose than I originally had this past Monday! See the post here. Play and teach Kerrington every day, set up a loose school curriculum to work with her. Thanks to PInterest, we have been having so much fun doing “lessons” together. Baby girl is so smart and loves learning! Weekly budget meetings and devotional time with Kason. Getting better with the budget meetings, and have enjoyed doing devotional time together for a while now!